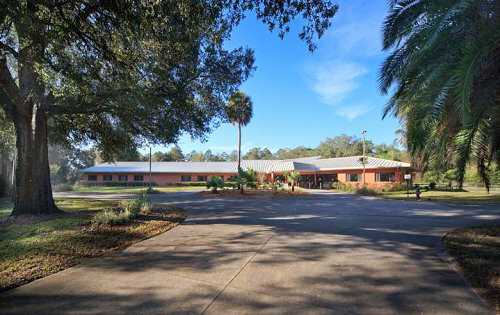 Wellsprings Residence was established in 1991 and is family owned and managed. 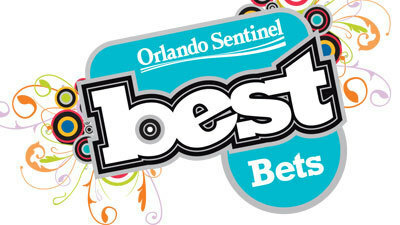 In 2014 Wellsprings Residence has been voted one of the best three Assisted Living Facilities in the Orlando Area by the readers of the Orlando Sentinel. Are you affiliated with a religious organization? No we are not. We are a family owned business and our residents go to the church or practice the faith their choice. 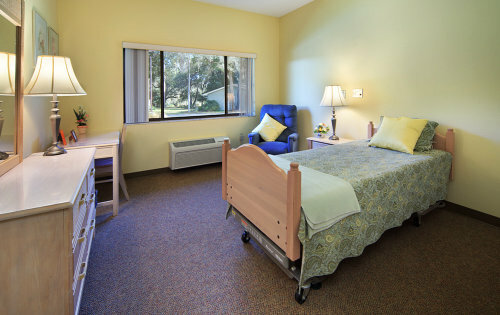 We have Caregivers, Nurses Aids and/or Home Health Aides on Staff 24 hours. Registered Nurses are available for Infusion Therapy, Wound Care or Care Management. Additionally, our Administrator is a Registered Nurse. Do you provide Physical Therapy? If physical therapy is needed the physical therapist makes “house calls” and will come to see your loved one here at Wellsprings. Yes, we provide scheduled transportation to doctor’s appointments, the library and for shopping trips. We get compliments for our food from the residents, their family members and our staff, who also eat here. We serve three meals per day plus snacks. The menu is approved by a licensed Dietician and is nutritious, healthy and tastes delicious. Everything is prepared fresh daily, from scratch in our kitchen by our trained kitchen staff. How do you make sure the residents take their medication? We work with a pharmacist who fills prescriptions for each resident. 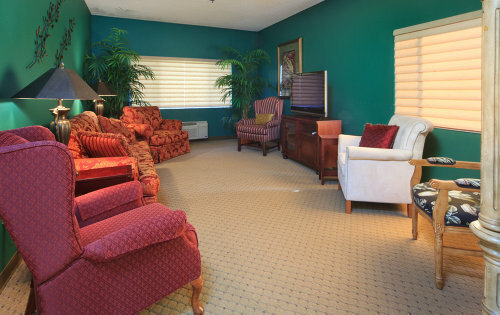 We also coordinate with Doctors offices if medications or refills are needed. There is no extra monthly charge for Medication Management. 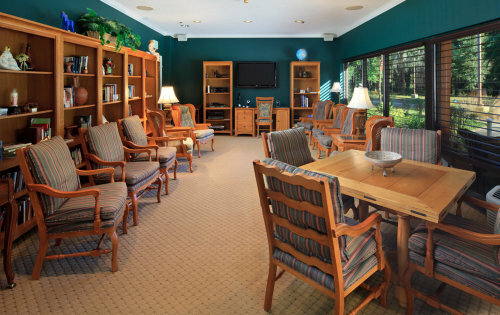 Most of our residents are elderly, and some in their 80’s and 90’s. We are a pet friendly community. Friends and families can always bring a pet. If a resident likes to bring a pet we need to discuss the details of the pet’s care. There is a cost for room and board, if you share a room it costs less than having a private room. Then there is the level of care needed. If someone is independent, we don’t charge for care. If a resident needs help with the activities of daily living and requires more help, there is an extra charge for the daily personal assistance. Our fees are all-inclusive with no surprise add-on charges. We will be able to give you accurate cost once the primary care physician has completed the AHCA Form 1823 and we have been able to assess your loved one’s needs. Is there a community fee? No, we do not charge a community fee. Yes, respite care is available. 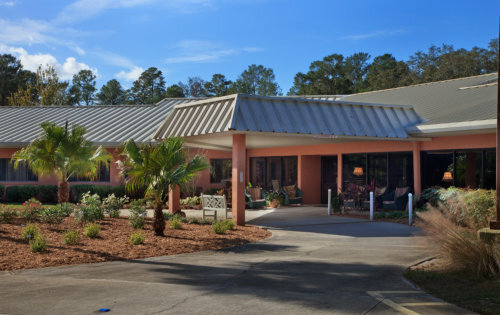 We do have residents who only stay here for a few weeks at a time as their caregiver at home needs a break or needs to go out of town. 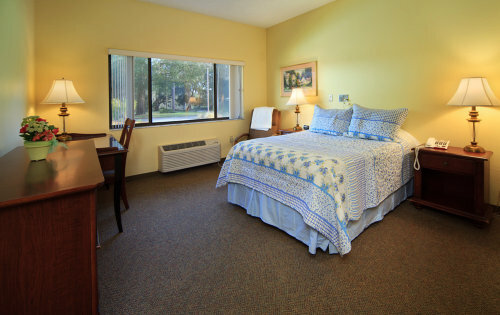 Please call us to discuss room availability. Medicare is a Health Insurance and does not pay for Assisted Living. It may pay for Rehabilitation, Physical Therapy and Nursing care. Yes, we do accept Medicaid. 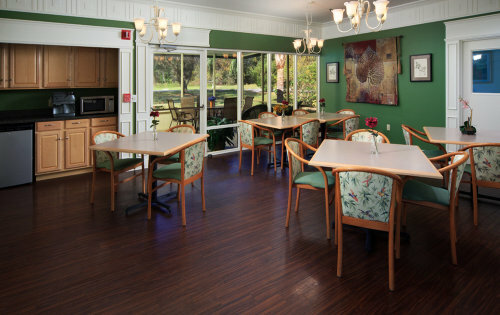 Some of our residents have a long term care insurance that pays for the cost of care if specific insurance requirements are met. Please check your policy or bring it with you and we can review together. Quite a few residents get the VA Aid and Attendance Pension. If you or your loved one was a service member you might qualify for this benefit.